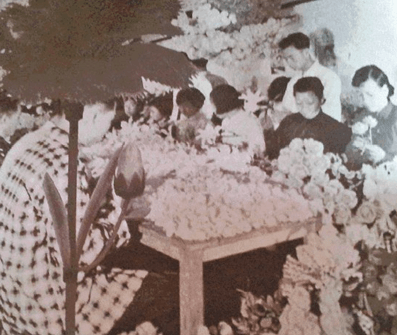 In the late 1950s, artificial flowers made out of plastic were in high demand in the West and Hong Kong emerged as the world’s leading producer of plastic flowers thanks to its significant cost and labor advantage. Starting with one factory in 1955, by 1962 the HK plastic flowers industry had blossomed into 997 factories employing over 30000 workers and generating HK$300 million in revenues. By 1967, the total export value exceeded HK$823 million which represented over 12 percent of HK’s industrial output. The flowers were exported to 101 countries, 80 percent of which were shipped to the US (and 80 percent of plastic flowers in the US were also allegedly sourced from HK). While many identified the industry with Li Ka-shing and some attributed Duncan Tong, the proprietor of the HK Artificial Flower Works (where the 1967 riots began) as the pioneer of the industry, three forgotten Jewish American tycoons played arguably much bigger roles in the development of the HK plastic flowers industry as major importers and manufacturers – the Rothstein brothers of Zunino Altman who built the first plastic factory plant in HK in 1955 according to FEER, Nicholas Marsh of Joseph Markovits Inc who was the biggest client of Li Ka-shing and Samuel Berger of First American Natural Ferns, another major buyer of plastic flowers from HK who helped to keep the industry intact in the midst of a major copyright dispute. Artificial flowers were first popular in Europe and the Far East and it wasn’t until the 1930s when a famous London interior designer and florist by the name of Constance Spry (1886-1960) opened her flower shop across the street from the Waldorf Astoria Hotel in New York and started promoting artificial flowers to the high society ladies of Manhattan that its popularity began to spread in the US. Because artificial flowers were made out of expensive materials such as silk, it was something that only the rich could afford. That all changed in 1954 when mass production of plastic flowers became feasible thanks to 7-parts plastic molds for rose developed by John Corelli of New York (proprietor of Corham Artificial Flowers), Alfred Jean Fristot of France and Lino Bosco of Italy. By 1960, half of all floral shops in America sold plastic flowers and plastic flowers became a US$50 million a year business. By 1964, it was US$120 million a year in the US with most of the flowers being imported from Hong Kong which had replaced countries such as Italy and Japan as the center of plastic flowers production with its significant cost advantage (for example, a plastic mold which cost US$1500 in the US could be purchased in HK for US$100 and labor cost was also significantly less). Zunino Altman (ZA) was the world’s largest importer and manufacturer of decorative artificial flowers with over 10,000 workers (most of them in HK) making 2000 different styles of plastic flowers and its own buildings in HK and the US in 1964. Joshua A. Rothstein (1921-1988) ran the firm as its president in New York while his younger brother Harold L. Rothstein (1924 –1967) ran the HK operations. ZA started before the War as a maker of artificial flowers in the US and its founders were Julius Zunino (1880-1956), a native of Genoa, Italy who migrated to New York in the early 20th century and Gerson Michael Altman (1880-1964), a Jewish entrepreneur. Zunino ran the firm until his retirement in 1946 and by the 1950s the firm was taken over by the Rothstein brothers. The Rothstein brothers came from a prominent Jewish family. Their maternal grandfather Nathan Lamport (1854-1928) was a prominent real estate developer in New York City in the early 20th century who sponsored the establishment of Yeshiva University. Two of their maternal uncles were prominent business and political figures – Arthur Lamport was a banker and adviser to the US government while Samuel Charles Lamport was in the cotton business and was good friend of President Franklin D. Roosevelt. Their father Leonard L. Rothstein was in the garment business and a bank director. Josh graduated from Brown University in 1941 while Harold was a business graduate of Bucknell University, who had served in US Air Force before joining ZA in 1955 when the firm went big into plastic flowers. According to the Far Eastern Economic Review, ZA built the first plastic flower plant in HK and quickly became the leader in the industry, supplying to over 20,000 retail outlets in the US at its peak including the department store chain Woolworth, which was reputedly the world’s biggest retailer of plastic posies at the time and Bloomingdale’s. In 1960, Josh sent Harold to HK to oversee ZA’s operation there and formed Jordan Inspection Service in HK as the principal subsidiary, which aside from its own manufacturing operations was also responsible for sourcing from 50 other plastic flower manufacturers in HK. The runaway success of ZA caught the attention of the acquisitive cosmetic giant Revlon, which acquired Zunino Altman in January 1961 in an all-cash deal for an undisclosed amount (one source claim well over US$1 million). The business continued to blossom as an autonomous subsidiary of Revlon under the management of the Rothsteins. In November of the same year, the 10 story Zunino Altman Building (齊愛大廈) was completed in 53A Hung To Road in Kwun Tong to house its large factory operations. 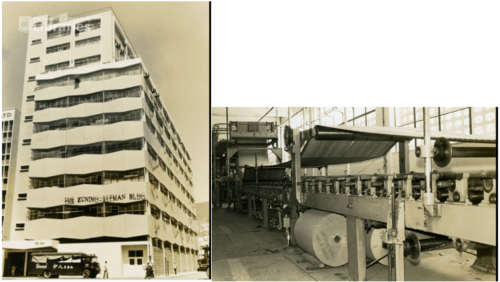 In 1962-63, the Rothsteins formed five companies in HK to support its plastic flowers activities – Yale Manufacturing Ltd, Argyle Trading, Jen Kee Cartons Factory (which made cartons for the plastic flowers with factory inside the ZA Building), Rico Ltd, and Ronald Trading (named after Harold’s son). Back in the US, ZA acquired their own office building at the intersection of 7th Avenue and 47th Street in New York City. In 1963, it opened a 250,000 sq ft distribution center/plant in Ridgefield, New Jersey and the group also had additional warehouses in Baltimore and Los Angeles. In 1965, ZA became the first firm in the industry to install a computer – the Honeywell 200 data processing system – to help optimize its complex supply chain. With their profits from plastic flowers, the Rothsteins expanded into other unrelated businesses – such as a travel agency by the name of American International Travel in Dallas, Texas. Craving authentic Jewish American deli food, Harold Rothstein and fellow Jewish American plastic executive Norman Fried (controller of Cragstan, see article on toy pioneer Joe Law) led a syndicate of 42 businessmen which included 10 Chinese and invested US$200,000 to open the first Jewish deli in the Far East – Lindy’s East (no connections to the famous Lindy’s deli in New York) in Central in July 1966, featuring New York style cheesecake, egg cream and sandwiches made with fresh pastrami flown in from the US. The manager was a New York restaurant industry veteran Irwin Koval and the kitchen was equipped with one of the few microwave ovens in HK at the time. It was such big news in the expat community in Asia that the New York Times and Newsweek both did featured articles on the new restaurant. 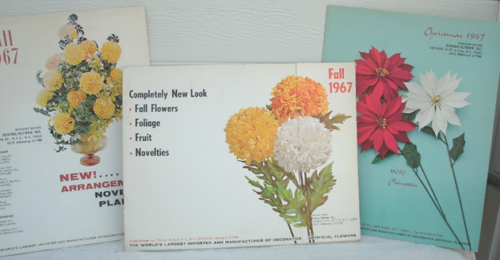 However, by the second half of the 1960s, the plastic flower boom had turned to bust. The impatient Revlon founder Charles Revson forced Josh Rothstein out of the firm and replaced him with his right-hand man Irving Bottner to explore sale of ZA to competitor Joseph Markovits or outright liquidation. In HK, Harold discussed with toy industry veteran Jerry Fishel to convert Ronald Trading to a toy exporter, hoping to transition from flowers to toys when he dropped dead of a heart attack on Jan 21,1967, leaving his wife Jacqueline and son Ronald and daughter Lisa who returned to America. Revlon shut down ZA in May 1967, Jen Kee, Argyle and Yale were dissolved in 1970 while Jordan Inspection was dissolved in 1971. Josh Rothstein bought Goldfarb Novelty, later ran it as a division of Amtel Inc in the 1970s and was retired by the 1980s in Scarsdale, New York. His son Kenneth also graduated from Brown and was president of Quintessence, a specialty food company in Greenwich CT. Jerry Fishel and Norman Fried acquired Ronald Trading from the Rothsteins for HK$200,000, which successfully transitioned to the toy business and did HK$5 million in sales the next year. As for Lindy’s East, the 1966-67 riots significantly impacted its business and the menu items were also priced too high, resulting in the restaurant going into receivership in September 1967. In November however, Irwin Koval re-opened the restaurant as Lindy’s in TST, and a branch was later opened in the Peak tram building. In 1969, Koval sold Lindy’s to Sandy Walker (Scot) and Tom Parker (Australian), who are also known for founding Ned Kelly’s Last Stand bar in TST, the Spaghetti House chain and Casa Mexicana, a pioneering Mexican restaurant in HK. The ZA Building was taken over by fellow plastic flower firm Cheung Kong which renamed it Cheung Kong Kwun Tong Building and was later re-developed into Spectrum Tower. Today the only trace in HK of this one-time dominant player in this once important industry is faded tombstone of Harold Rothstein in the Jewish Cemetery in Happy Valley. Nicholas V. Marsh and Joseph Markovits, Inc.
Joseph Markovits Inc (JMI) was one of the largest importers and manufacturers of artificial flowers in the US. JMI was founded before the War and an artificial flower merchant by the same name was sued by Grand Art Flower in 1921 for violation of non-compete agreement after buying the business from him the year before. By the early 1950s, JMI was a sizeable firm with factory operations in five different buildings in New York and it was run by its president, Nicholas Victor Marsh (1907-1988; he was likely related to Joseph Markovits as the name Marsh could be an Anglicized version of Markovits but need to confirm). In 1953, JMI acquired the Hardman Peck Building in 540 West 52nd Street in New York from Samuel Hoffman and consolidated its manufacturing to the new location. 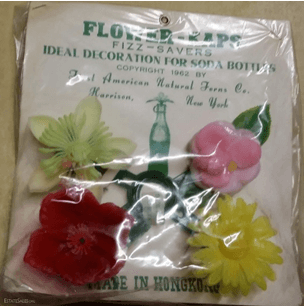 The emergence of plastic flowers in the mid-1950s brought many American buyers to HK and JMI as one of the industry’s biggest players was one of them. According to industry folklore, Markovits representative took a rickshaw to Sai Wan in 1957 and the rickshaw puller who was Chiuchow brought him to Cheung Kong, the plastic factory owned by fellow Chiuchow native Li Ka-shing on Smithfield Road. According to LKS, the connection with Markovits was made through another trading firm which owed him a favor the year before. Regardless, the business relationship between Marsh and Li began in 1958 and soon became a very substantial partnership which made JMI one of the biggest importers of plastic flowers in the US and Cheung Kong one of the leaders in the HK plastic flowers industry. In the early 1960s, Nick Marsh established two subsidiaries in Hong Kong – Arcadia Trading (incorporated in 1963) and Raynick Novelty (incorporated in 1961 and renamed Bay Novelty & Inspection in 1965). With profits from plastic flowers, Cheung Kong moved into real estate. On July 3rd, 1964, two of Cheung Kong’s properties – the Cheung Kong Building at 661 King’s Road in North Point and the Cheung Kong Chai Wan Building at 18 Cheung Lee Street in Chai Wan were opened by Nick Marsh as the guest of honor, highlighting the importance of Marsh in the eyes of Li as the guests of honor in this type of openings were usually government officials or Chinese business or political leaders. Although JMI sourced a lot of its plastic flowers from HK, it also maintained a plant in Totowa, New Jersey. 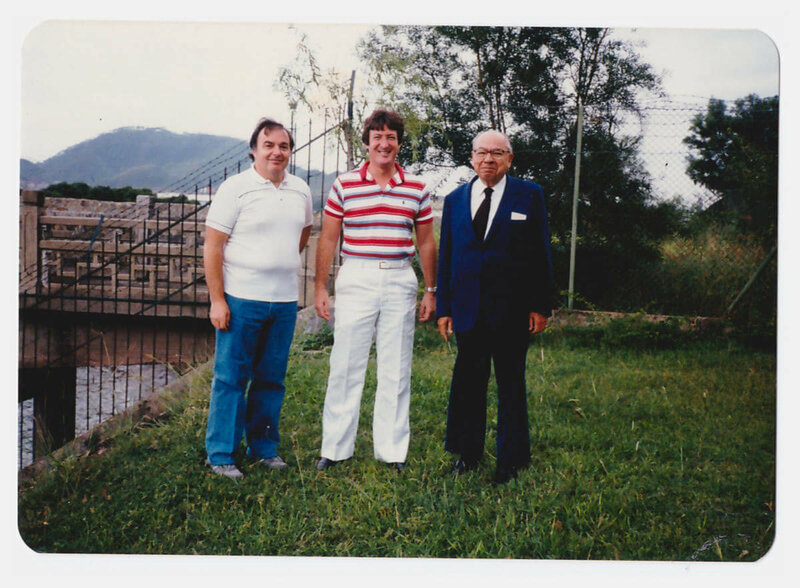 This photo was taken at East Lake near Shenzhen around 1984 or 1985. On the far right is Nicolas Victor Marsh, middle is Richard Marsh and on the far left is Mike Fertig who was the Joseph Markovits’ overseas buyer. According to court records, the plastic flower business between JMI and Cheung Kong drew to a close in 1969 but Marsh and Li maintained their friendship and Li managed funds for Marsh in HK. When Cheung Kong Holdings went public in 1972, Marsh subscribed to 1 million shares at HK$3 a share before the IPO and he held onto the shares until 1984. Marsh suffered a massive stroke in 1986 and died in 1988 in New York. He was survived by his wife Irene (who was estranged at the time) and three daughters – Lorraine Fine, Adrienne Lefkowitz (who filed a number of lawsuits against multiple parties including Li over her parents’ estates) and Claudia Applebaum. Aside from JMI, Bay and Arcadia, he was listed in his obituary as chairman of Sederland Enterprises, Marsh Oil Associates, Commonwealth Artificial Flowers, Marken Trading, Floral Masquerade Inc and Beaux Arts Fleurs Inc in addition to being a benefactor of Tel Aviv University in Israel. After Marsh’s death, his family sold out of JMI and Bay and Arcadia were dissolved in 1995. First American Artificial Flowers, which started out as First American Natural Ferns in 1910 as an importer of paper and cloth flowers, was allegedly the largest manufacturer and second largest importer of plastic flowers in the US when its president Samuel S. Berger (1910-2001) was playing kingmaker in the HK plastic flowers industry in the late 1950s and early 1960s. The son of the firm’s founder Simon Berger, Sam Berger graduated from the NYU Law School in 1932 and joined the family business the next year. He co-owned the firm with his sisters Gertrude “Goldie” Berger Lowell, Rose Berger Steindler and Anna Berger. The firm had plant and warehouse in Harrison and Mount Vernon, New York. By the late 1950s, Berger became drawn to Hong Kong like his fellow American competitors and in 1959, First American Natural Ferns placed first large order (worth over US$1 million) in Hong Kong after a 10 days visit. In late 1960, a week after two American firms Abbott Labs and Transocean Steamship of Los Angeles announced plans to set up shops in HK (the latter being a HK$30 mil plywood processing plant to employ 1600 people), Berger announced his intention to establish a US$3.5 mil (HK$20 mil based on the exchange rate at the time) polyethylene plant with capacity of producing 5000 tons of plastic flowers per year. In speaking with the press, Berger explained that he was attracted by the favorable local price of raw materials and added that “we have been hurt by the policy of the big plastics mills in America who have set one price–a world market price of US$0.325 a pound. In Hong Kong, the raw material can be bought for US$0.21 a pound.” The plan did not appear to have materialized but First American remained a big buyer of HK plastic flowers and according to court records, one of its major suppliers was Plastic Manufacturing Corporation (PMC, founded by radio and toy pioneer Frank Gardner – see article) which Berger visited in 1965 in one of his 3-4 trips abroad that year and purchased 150 styles of flowers from the firm. In early 1961, a major trade dispute over plastic flowers erupted as American plastic flower manufacturers registered over 168 flower designs and attempted to impose sanctions on imports from HK on the grounds of copyright infringement. In January, a shipment of plastic flowers from HK was impounded at the dock in San Francisco and the future of the entire HK plastic flower industry was in jeopardy. It was thanks to American importers such as First American who lobbied against the sanctions that a compromise was eventually made later in the year where Chinese designs were backdated by five years and thus enabled exports of HK plastic flowers to the US to continue. By the 1980s, Samuel’s son Roland Berger (no connections to the German strategy consulting firm of the same name) had taken over the firm as president. Sam died at the age of 91 in 2001 and was survived by 1 son, 2 daughters, 8 grandchildren and 11 great grandchildren. This article was first posted on 18th December 2017. I read your article today about artificial flowers. Our name from Europe was Markovits. Joseph had 3 brothers all in the flower business. Nick’s cousin was Samuel Berger who owned 1st American. We had great relationships even though both companies sued each other. The tall man on the left of the picture with Li Kai Shing is Not Nick Marsh. I do have some pictures of Nick in a file from our trips to Hong Kong and China. Nick and Li Kai Shing owned the cement factory in Hong Kong, The Sheraton Hotel as well as a major hotel on Hong Kong Island. Our home hotel was on HK island. I forgot the name but I think it was turned into a huge office tomorrow. Nick daughter Adrienne died several years ago. I am still in the business doing direct imports only and will be in Asia in a few weeks. I am the last of the Marshs in the flower business. If you need any other information I can try to help. PS. When Nick stepped off the plane in Hong Kong the stock markets were waiting to see if he was going to sell his Cheung Kong stock or just go the course. Nick had the power to shake up the market. It was fun for me to see the anticipation. Many thanks for your info and clarification. If you can share the pictures of Nick and Joseph Markovits Inc that would be great. You can email me at york_lo@hotmail.com and I will post them in this article. I presume the “home hotel” you are referring to is the HK Hilton which was developed by Texans in 1963 ,acquired by Li and re-developed into his headquarters Cheung Kong Center in 1995. Recently at the press conference announcing his retirement, Li boasted that shares of Cheung Kong bought at its IPO in 1972 assuming dividend reinvestment would be worth 5000 times more today. So Nick’s HK$3 million stake at IPO (assuming not selling a single share and reinvested) could be worth HK$15 bil (or US$1.9 bil)! Bob,nice to see your name. I remember you very well and always enjoyed being involved in the semi annual meetings in New York City. I know you did a great job running the Atlanta distribution center. I was just a young woman creating and selling my flower arrangements from a mall in Hicksville, NY when a sales rep from Markovits asked me to come to Manhattan for a sales rep interview. I got the job and my main account was Woolworth in the five city boroughs. The world of artificial flowers as experienced through the Markovits company was exciting and just plain gorgeous. It was also challenging and stressful for me starting out as a sales rep, but I still remember how kind and encouraging Joseph Markovits was to me. He always had a good word for me as we passed each other in the showroom or rode the elevator. He was a really nice man and I am so glad he and his company gave me a chance to enter their unique world of flowers.